May 2, 2017 October 4, 2016 by Nick K.
Ghostface on Ghostface! New Brunicorn! 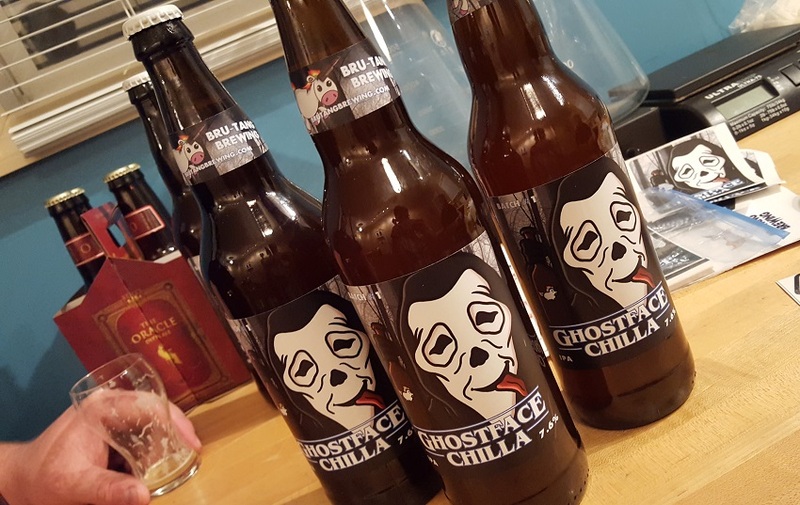 May 2, 2017 September 26, 2016 by Nick K.
Ghostface Update and Brewing a Stout! 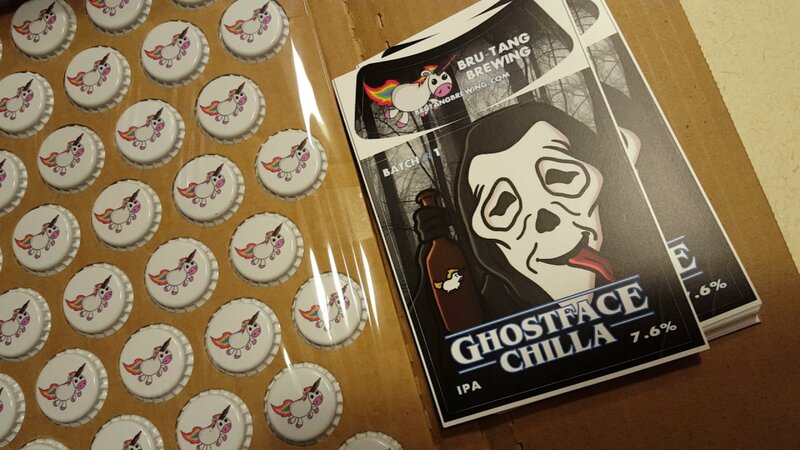 September 19, 2016 by Nick K.
November 7, 2018 September 12, 2016 by Nick K.
We just got the labels and bottle caps for the Ghostface Chilla: Batch #1! Can’t wait to get this bottled on the 24th! 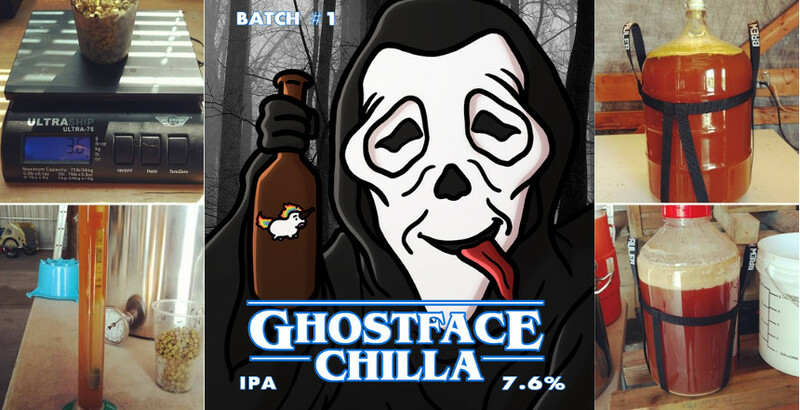 November 7, 2018 September 7, 2016 by Nick K.
After some changes, we are looking at an estimated 7.6% ABV now for Ghostface Chilla: Batch #1. We have finished the bottle art as well as ordering the labels. Our first official brew is getting the full package! 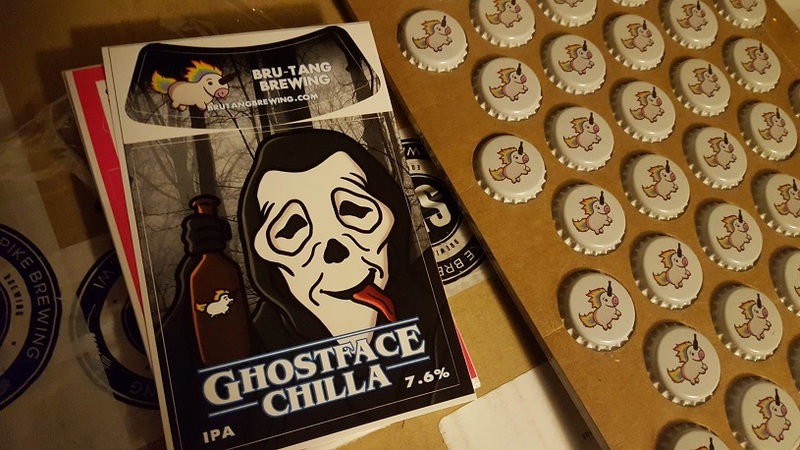 September 19, 2016 August 31, 2016 by Nick K.
We started brewing our first official Bru-Tang Brewing batch of beer: Ghostface Chilla IPA. It’s an India Pale Ale with an estimated ABV of 7.2%. It is in the fermenter right now, and we will be bottling it on September 24th! 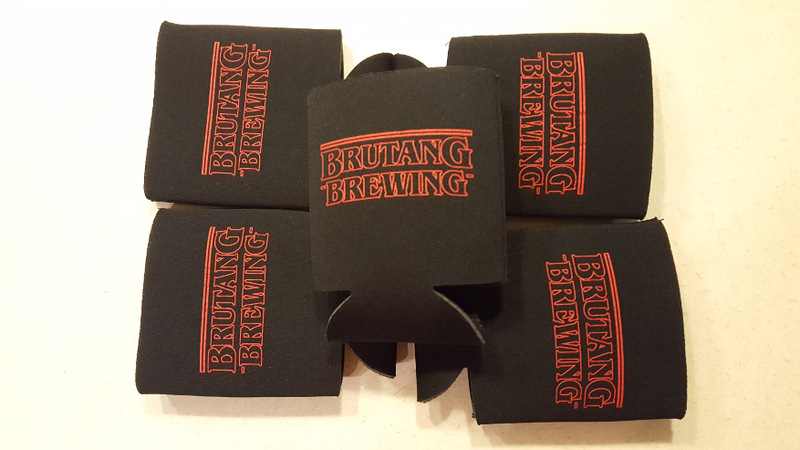 July 6, 2016 July 6, 2016 by Nick K.
Bru-Tang Brewing is the latest addition to the Findlay Ohio craft beer scene. We are currently in the process of setting up our brew site, working on recipes, tasting new beers, and much more. Bookmark our site for the latest updates on our progress!